If you're still coming to terms with there being no Santa Claus and no Easter Bunny, stop reading now because I'm about to expose another beloved icon as fake: the perky preschool teacher. Her outward cheerfulness is an act because, in reality, she's fed up with her low-status, low-paying job (average wage is $11.95 an hour). Even though she earned a degree in early childhood education, she has little autonomy in the classroom because the owner determines how the school operates. The perky preschool teacher has to compromise what's best for her students to satisfy an owner whose goal is keeping costs low and profits high. Above all else, remember that owning a preschool is a business and making money is the bottom line. That's why parents must stay vigilant about their child's preschool education. Early Childhood Education Involves More Than Little Monkeys Jumping on the Bed! *(If the class has children with special needs, the student-teacher ratio needs further reduction). 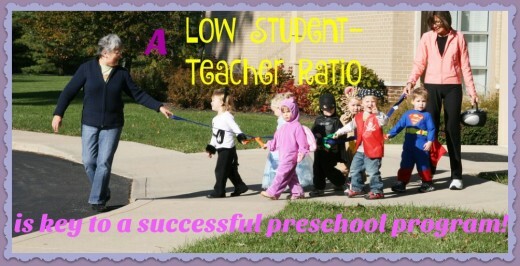 At the preschool where I worked, the owner promised a teacher-student ratio of 1:10 in pre-K as recommended by the NAEYC. However, she proceeded to enroll children throughout the year, increasing the class size to unwieldy numbers. I recommend parents immediately complain to the owner when the teacher-student ratio rises above what she originally promised. If parents stay silent, the owner will add more students because it adds more money to her pocket. The owner where I worked would have added a kangaroo, a lion, and a rhinoceros if no one complained! Preschool owners are notorious for stealing the latest trends in elementary school education and using them with younger children. Sadly, many of these practices are not developmentally appropriate for preschoolers. Parents mistakenly believe their youngsters are learning at an accelerated rate when the preschool offers STEM (science, technology, engineering, math), SST (sustained silent reading), and foreign languages such as Spanish, Japanese, and French. Many parents buy into the myth that preschool is the ideal time for children to acquire a second language and, of course, owners are more than happy to propagate this falsehood. According to prevailing research, young children need to become proficient in their native language (which takes 5-7 years) before tackling a new one. Otherwise, they may suffer from “double semi-lingualism,” meaning they know a bit of both languages but are adept in neither. The research suggests that early adolescence, ages 11-13, is the best time to learn a second language. Reading nursery rhymes, poems, and rhyming books such as Dr.Seuss. Asking the children to name phonemes in words (cat has three phonemes kuh-aaa-tuh). Asking them to name the beginning, middle, and ending sounds. Stressing the sounds of letters over the names of letters (it's more important children recognize that cat ends with the sound tuh rather than the letter t). Playing music that rhymes by singers such as Raffi, Dr. Jean, and Hap Palmer. 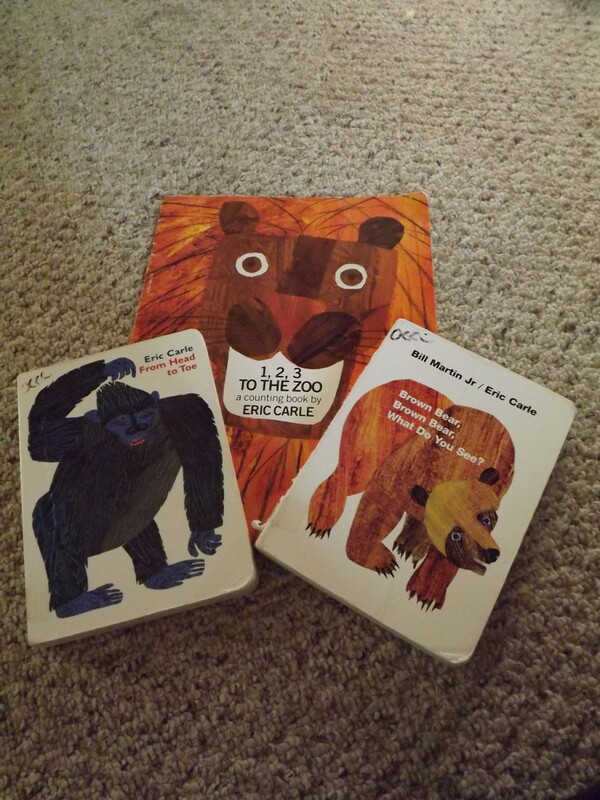 What is phonological awareness and what is its connection to reading, writing, and spelling? Why are parents so adept at teaching it to their children? A former early childhood educator explains. Many preschools have youngsters do elaborate art projects: a magic wand made from a paper towel roll and adorned with paint and glitter, a stained-glass vase made from tissue paper squares, glue, and a soda bottle, a picture frame made from Popsicle sticks and rhinestones. These showy crafts impress parents who love to display them in their homes or give them as gifts to grandparents. Unfortunately, these teacher-directed projects do little to stimulate creativity, decision-making, and self-confidence. In fact, they may very well do the opposite. 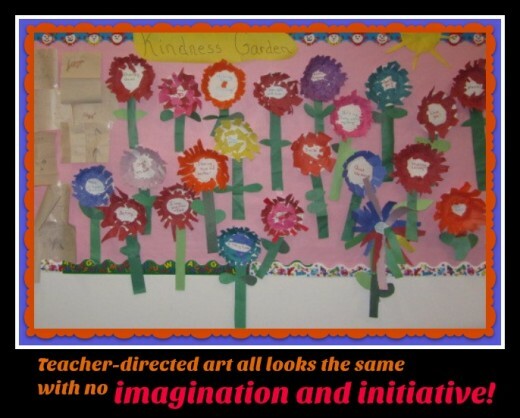 When I taught preschool, the owner required us to lead a teacher-directed project each week in a step-by-step follow-my-sample sort of way. It was not unusual for youngsters to become discouraged and even cry when their work did not look as good as the teacher's. We often had to take them away from an activity in which they were engaged—building with blocks, playing with trains, or digging in the sandbox—in order to complete the project and, of course, this frustrated them. How could these reluctant artists create something amazing? Why were we turning art into a joyless event? Why weren't we facilitating projects that fostered their imaginations and expressed their individuality? A quality preschool art program is child-centered and focuses on simple but empowering projects: painting, collage-making, drawing, and molding with clay. With child-centered art, the process is always more important than the product. Youngsters are encouraged to create but are never forced. 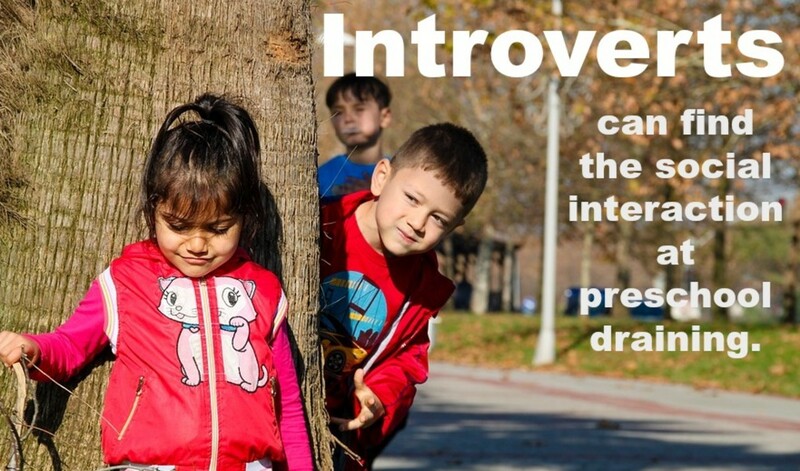 Children make things that are unique and reflect their personalities and interests. They learn to talk about their art and what it means. A preschool classroom with little or no manipulatives—counters, Geo-boards, Unifix cubes, sorting objects, Cuisenaire rods, pattern blocks, dice, number lines, scales, and play money—should make parents question how math is taught. A solid program guides young children from the concrete (manipulatives) to the abstract (numerals) and stresses hands-on learning, independent exploration, and math as a meaningful part of everyday life. Teachers should integrate numerals, counting, pattern-making, and problem-solving into the curriculum with the calendar, games, art projects, and free choice time. According to Elliot Eisner, the highly regarded professor of Art and Education at Stanford, teachers should set out the same manipulatives again and again throughout the school year. By repeatedly using the same materials, Eisner believes that youngsters develop “automaticity,” which translates into a strong, deep knowledge of math principles. Preschool is a magical time for children when learning is new and fun. If parents stay vigilant about their child's preschool education, they will help their youngsters gets off to a great start in their educational journey. Thanks, teaches 12345, for reading and commenting. As a former director of childcare programs, I know you're aware of the huge turnover among preschool teachers. That's why it's so important to have a strong program in place that emphasizes child-centered learning, hands-on exploration, and small group work. It takes a strong leader to resist today's pressures to incorporate structured lessons, academics, and paper-pencil tasks. Good preschools are still out there, but they're harder to find. As a former director of childcare programs, I found it most rewarding to work with teachers with a passion to teach quality education and supported by parents engaged in their child's education. There are a few preschools out there providing this type of learning environment. If a parent finds one -- stay with it and support it! 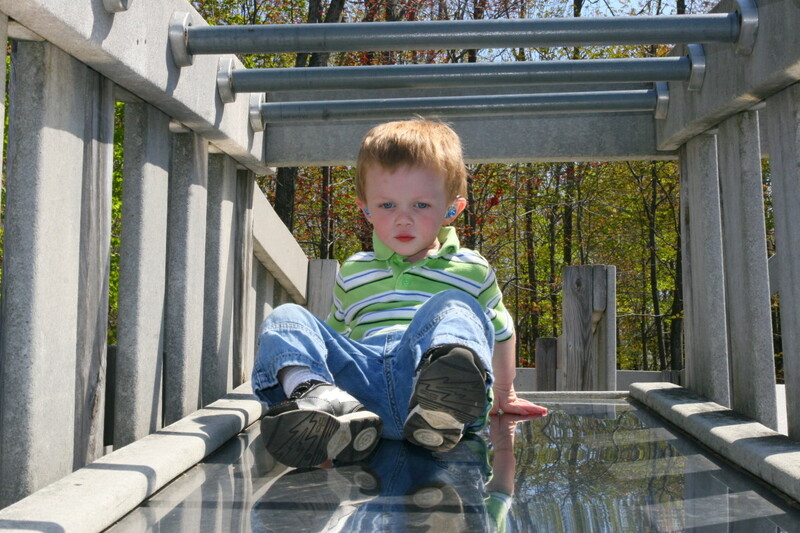 Your tips are great and provide insight on what to observe as a parent. Thanks for the compliment. I have a tremendous passion for early childhood education and early childhood intervention. However, recent experiences have made me wary. In too many instances, we're doing the opposite of what the educational research tell us to do. It reminds me of years ago when schools started to reduce or even eliminate recess so they could add more academic time. Well, with the epidemic of childhood obesity, we now know that was a bad idea. But, in truth, we knew it was wrong all along. This is an excellent article. 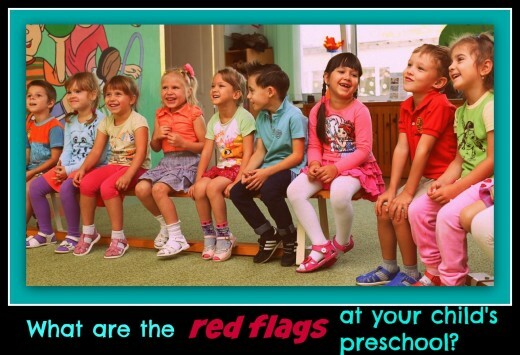 I've never even imagined there could be so many problems in a typical preschool setting. Thanks for reading and commenting. Parental involvement pushes owners to do better -- to be more accountable and child-centered. Co-op preschools are excellent but typically require a big commitment of time, which is often impractical for working moms and dads. Parents can make a big impact by being visible, asking questions, and speaking directly with the owner. Thanks for sharing awareness of preschool horrors. True, parents are ultimately responsible for what happens to the children, and articles like your help them make wise decisions. Good job!